Conference room glass film, sidelites, and glass partitions discourage visual intrusion while enhancing design and reducing glare. We offer a variety of privacy solutions to suit any project for conference glass and sidelites. Conference room glass film brings the beauty of glass to the office - transparency, sunlight, versatility, efficiency, space saving, and low cost. The conference room glass film comes in a wide range of sleek but rugged minimalist designs and configurations so you can choose the system that best matches your office’s functional and effective requirements. Frosted and translucent finishes let you enjoy privacy without sacrificing view. 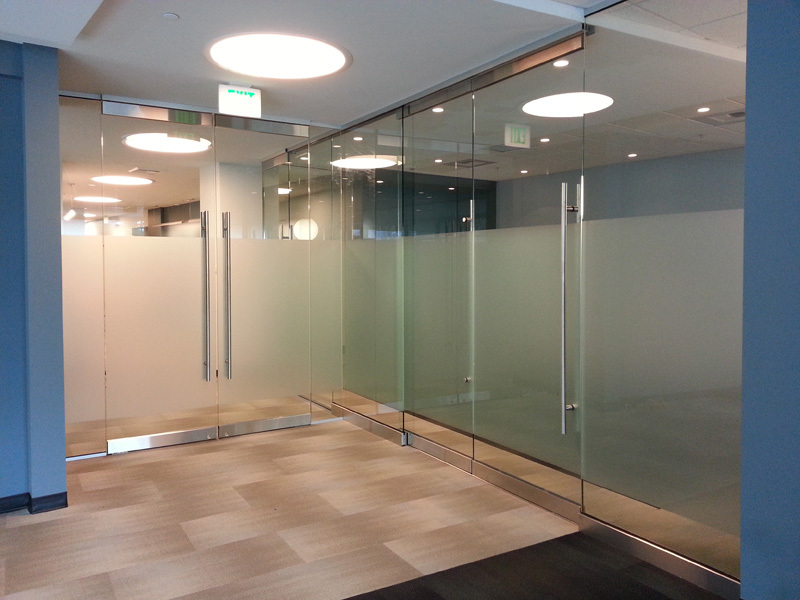 Frosted conference room glass film provides a fast, efficient, and economical alternative to traditional glass etching or sandblasting and puts you in control of your environment. ABC Sun Control, Inc brings you the finest collection of conference room glass film and sidelite window film for your office decoration. With our sidelite window film you can adjust the opacity of the room to make it just right for you and the environment you are looking to create. We provide and install the largest selection of sidelite window film & conference room glass film. They come in different patterns and shades and are easily removed and replaced to change the appearance of the window at a later time. Sidelite window film diffuses light without appreciably cutting down the ambient light. Although designed for long-term applications any film can be removed, unlike the permanence of sandblasting or acid etching. Cleaning sidelite window film or other glass film is a breeze with any common window cleaning solution. ABC Sun Control, Inc. serves the greater Seattle area with sidelite window film and conference room glass film.